Every man needs to carry gear on him. Most men do, but not all of them carry the right things. Especially in this day and age it is even more critical to carry the right things and not the wrong things. Let’s face it, there are certain tools that you need for every type of situation. In this article, I aim to expose what you shouldn’t carry, and then unfold the 9 most critical EDC essentials every man must carry with him. Not only that, but I’ll give you links to the best places to order from. Also, if you are an EDC junkie, there are some great pictures in this post that you can ogle at. I’m not really one for wasting time, so let’s jump right in. At its most basic level EDC is Everyday Carry. 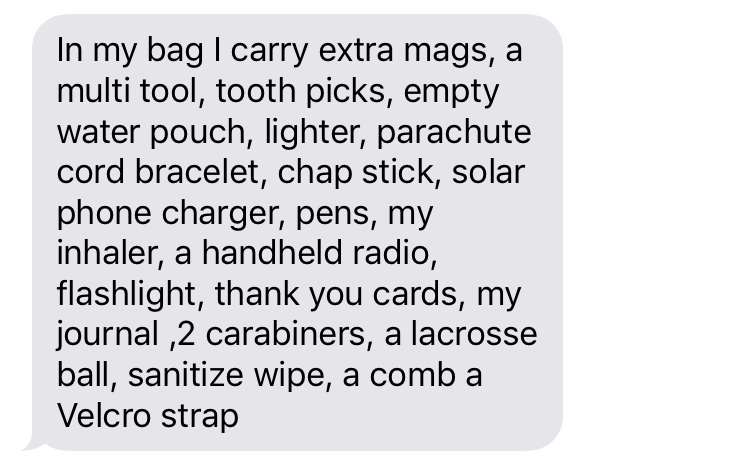 Which is, the items that you carry on your person everyday. Pretty simple right. Most people don’t really think about it much, even though they have things that they carry. These aren’t the things that have the most monetary value, or even the items that are sentimental. These are the things that you absolutely need to have on you at all times. When you dig in a little bit, and think about situations that you might encounter, it might change what exactly it is that you think is necessary. There will most likely be a lot of overlap with every guy, but there are some items that are essential to your specific job or workday. The ones that we will focus on are going to be the ones that overlap for every person. The essentials. Most people think the watch is outdated, or they wear a smart watch. In my opinion, those are worthless. After all, if you are ever in a place where you don’t have service, it becomes merely a watch anyway. Also, lets see you dive underwater with that thing. If you are going to have something like that, it better be able to function in the most extreme conditions. In fact my daughter who is seven, likes to wear her tennis shoes and bathing suit wherever she goes. What is her reasoning you might ask? She says it’s because you never know when you might need to run or swim. My daughters are my heroes. I wear a watch for it’s functionality. I don’t like being connected to my phone or emails when I don’t need to be, so a smartwatch does not have any appeal. The point of a watch is to be able to keep track of time without the disruption of the manic world. However, I am not trying to persuade you not to have one. If that is your pedigree, go for it. Just make sure that it does what you want. 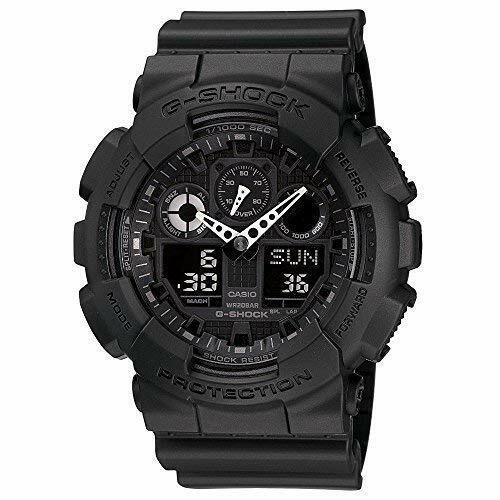 I prefer G-Shock Watches, never failed me before, and they are great for an active lifestyle, which includes swimming. I got my first pocket knife when I was 6 years old. My dad gave it to me just before he taught me how to shoot a rifle. By 12 years old, I had shot rifles, handguns, and even purchased a Ruger 10-22 with my own money. Even with all that, I still loved carrying a knife, and boy have they become more prolific, and there are a lot of super cool options available. A pocketknife will serve you well, for mostly anything. When choosing a knife, keep in mind a couple of things. Does it come open quickly? Does it have a clip? I like to hook the clip right on the inside of my front pocket, so that all anyone can see is a little metal piece. This makes it accessible, and you will feel if it is there or not. I am digging these CRKT knives, they are sleek and easy to clean. Check them out. I also like pretty much anything that Gerber carries, especially the Gerber Tanto Fast Knife. Really, though, it’s up to you what you want to carry. There are a lot of great choices. If you are not carrying a pocket knife currently, I suggest you get one. Whether it is a tactical pen, a screwdriver pen or a regular ballpoint zebra pen, it doesn’t really matter. The point is to have a pen. In fact most of the guys that I talked to all said they carried some sort of writing device on them. Why is a pen so important? There aren’t really a shortage of pens in the world, but there are a shortage of men who carry them. Next time you need a pen, make sure you have one. This should seem logical. If you are going to have a pen, then you should probably carry some kind of paper to write on. Personally, I find this is one of the most valuable things for me to keep. I use it to write down everything. I actually have one for work and one for personal use. I also use a moleskin Journal for planning the 360 Man Project. It really doesn’t matter what you write things down on, it’s best just to have something that you find functional for your style. I wish I could count the times that I wish I had a flashlight. In fact, when your car breaks down and you need to replace a battery, starter or alternator. You are going to wish you had one of these. Maybe you are just looking for something that you dropped at night or needing to see into a dark cave. As an adventurer myself, I have several flashlights on me. I have one that has a magnet and a light extension on it for when I work on a vehicle, and then I carry a smaller led flashlight for everything else. I also have a push-button flashlight on my key ring. All of them have served me well, and been used for many different uses. Having a flashlight will save you in a pinch, and allow you to do things more quickly if needed rather than waiting for light. Pretty self explanatory here. These are your keys for anything. Most guys don’t leave without them, and usually have some sort of key ring that they like to carry them on. 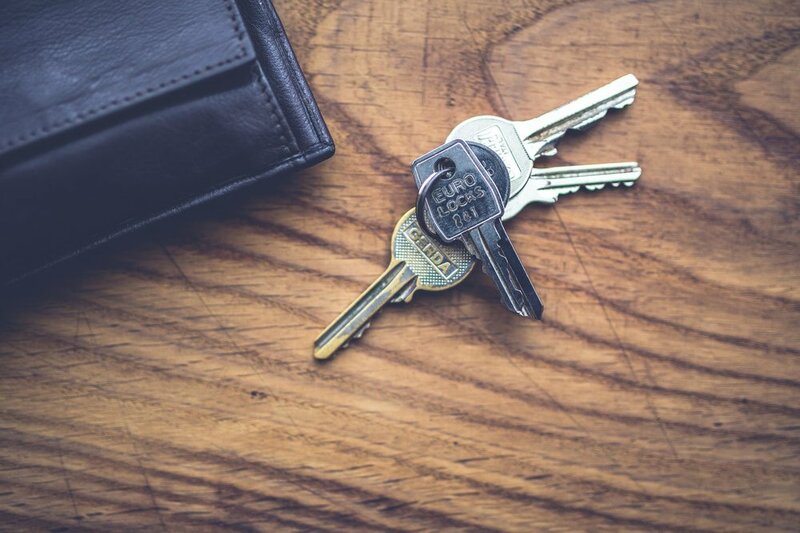 Keys can also be used for self defense, cutting cords or string, and in some rare instances can even help open other locks. Personally, I wish I could do without this one on the list for some reasons, but for other reasons it has some great features that you can add to your Everyday carry. It can get you out of a jam pretty quickly, if you are in a location where you have signal. If you don’t have signal or your phone breaks or the battery dies, you don’t want it to render you useless. Have a plan B. With that being said, it is best to carry a solar charger, or backup battery when going to remote or semi-remote locations. Most people probably have their lives on their phones, but I carry mine on a flash drive. Mainly because I write a lot, or create new things, therefore this is valuable for me. It may not be as valuable to you, but I assure you, there will come a time when you need one. Maybe you are nefarious like I was when I was a teenager, and you have hacking tools on the USB. Whatever it is, this is one of the most overlooked EDC essentials. For me it’s sunglasses, however, when I fly I use reading glasses. Either way, they are on my head or in my Reebow Sling Pack. Keeping a pair of sunglasses on you is great for snow blindness, driving at dawn with the sun in your eyes. They can also conceal where you are looking if you are the James Bond type or a Navy SEAL doing recon. I use WayFarer Polarized Sunglasses. What are other guys carrying? I asked a few guys whom I respect what they carry everyday, or at least what they would consider the essentials. This post is amazing, check out that Skeleton ring, and that watch that looks like it’s straight out of an 80’s Star Trek episode. Share your pictures and ideas in the comments section below.